While many financial institutions have let their overdraft privilege programs slip by the wayside after the implementation of Reg E in 2010, others have achieved success using fully disclosed, automated overdraft privilege programs. Good overdraft privilege programs provide your accountholders with stability and convenience while avoiding the embarrassment of a returned item. 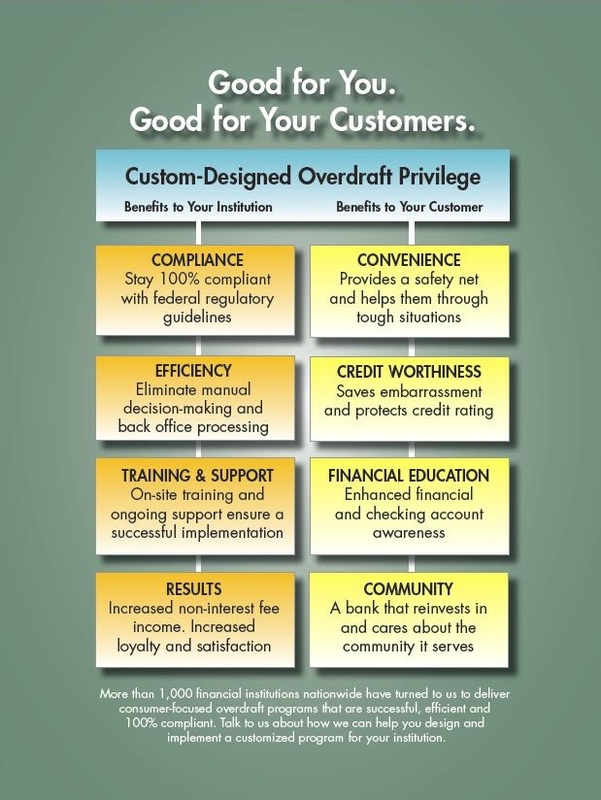 While not all overdraft privilege programs are the same, a specialized program that fits your financial institution provides a distinct consumer service that your accountholders value.